God the father, God the son & God the Holy Spirit existed before creation and enjoyed perfection of relationship, identity and purpose. This is Heaven's government. But what does it look like? In this message, Paul explores Heaven's government. "As we behold as in a mirror, the Glory of the Lord, we are transformed into the same image from Glory to Glory." 2 Corinthians 3:18. As we learn to honor, or recognize the Glory, that Glory transforms us. 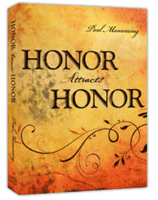 As we honor we attract honor. 1 Corinthians 13 ends with the establishment that LOVE is the GREATEST of FAITH, HOPE, & LOVE. In this message, Paul describes HOPE as the sketch on the canvas that invites the master painter to complete the painting. This message builds on the scripture in Jeremiah which declares that God delights in JUSTICE. What therefore, is the purpose of justice? It is essential that we have a right understanding of justice as Psalm 89 declares that "justice and righteousness" are the foundation of His throne. 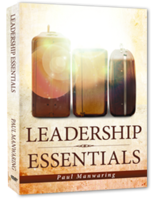 In Leadership Essentials, Paul commissions us to lead at this incredibly opportune moment in history. As followers of Christ, we are all called to lead. Paul points us to the goal of becoming Kingdom-minded by building on a framework of character, gifting, and teamwork. 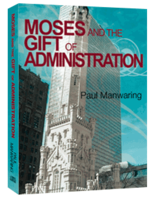 Many of us have received prophetic words that we have an administrative gift. Sadly, this is often seen as an invitation to clerical work. The word "administration" listed in I Corinthians 12:28 is also translated as "government," which means to steer towards the vision.